When planning a trip to Iceland you might be overwhelmed with all of the places you could visit around the island. Though Iceland is small it is packed full of incredible wonders from waterfalls to glaciers to volcanoes. There is a LOT to do and it can be hard to choose where to go! After spending one week touring the perimeter of the island, via Ring Road, we decided to spend a couple of days in the Golden Circle! The Golden Circle is close to Reykjavik and the airport and has TONS of beautiful sites to see! It is the perfect area for anyone who has just a few days in Iceland. We rented a car for just three days from Auto Europe and it worked out great for us! You can check out their rental cars for Iceland on their website here, Auto Europe Car Hire. 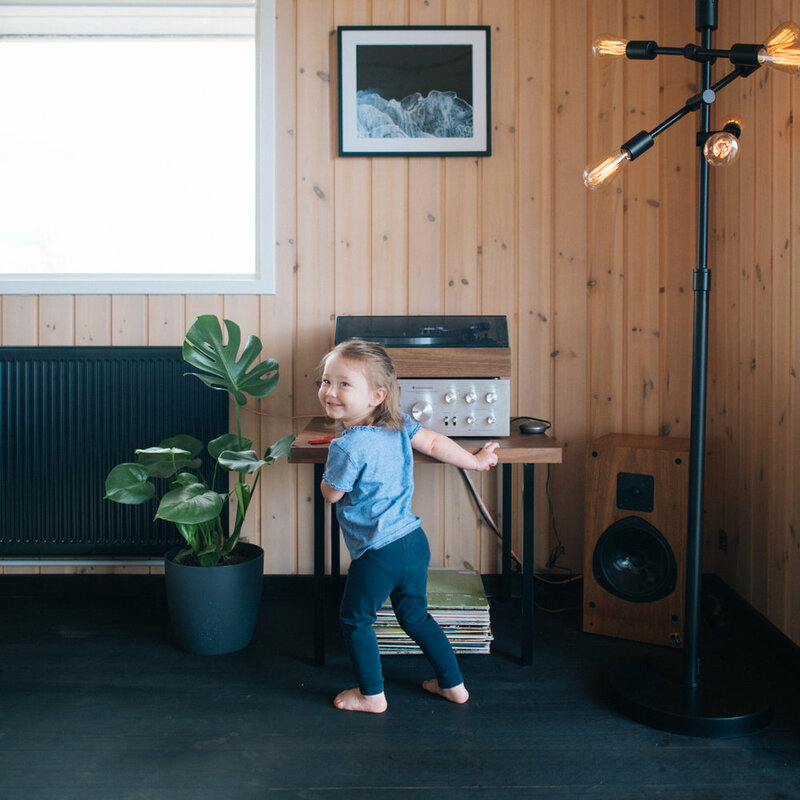 We searched online through Airbnb for a place that would be in close proximity to waterfalls and the Geyser in the Golden Circle and we found this incredible cabin that looked perfect for our family of three! Everything about this little home was perfect! It was decorated so beautifully and we felt so welcomed the moment we walked in. Honestly, it was nicer than many of the luxury hotels that we’ve stayed in! We loved all of the little touches including the chocolate and map gift that the host left for us, yum! We also enjoyed listening to the amazing selection of music on the record player. Our favorite though had to be the hot tub that was heated with hot spring water directly from the earth, SO COOL. Needless to say, we highly recommend this cabin as the perfect place for a Golden Circle Iceland trip. You can view the listing here to book this beautiful place! You can also learn more about the cabin by visiting their instagram @hilltopcabinhekla. 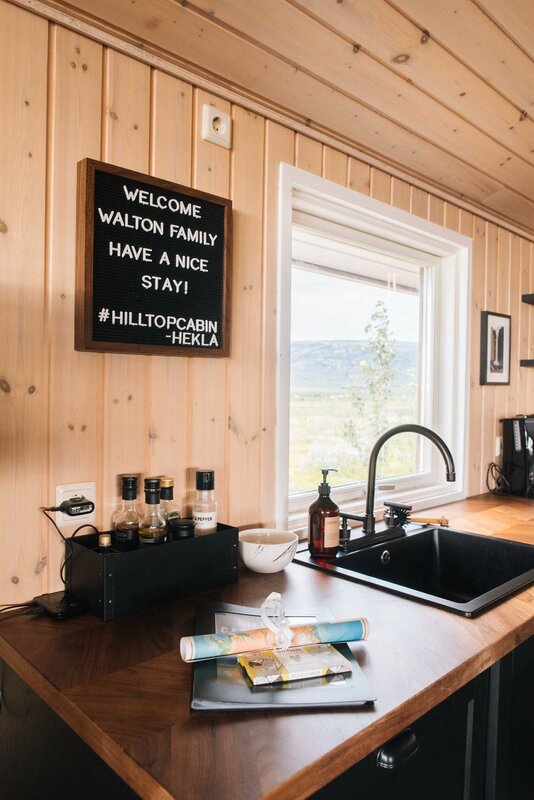 If you do choose to stay here be sure to let them know that The Walton Adventure sent you! Below you’ll also find two of the Golden Circle waterfalls that are in very close proximity to the cabin!